Must be wondering what this is all about right? Well, this is purely based on my own taste preference after eating these 3 similar hotpots for 2 weeks, and my opinions are pretty much on my own taste bud, so do let me know if you have any other hotpots that you would like to introduce me! First of all, is the most popular Hai Di Lao. I guess that everyone would know how popular this is, and much thanks to my friends for bringing me there before I fly to Japan for good. What I like most about Hai Di Lao is the handmade noodles, the fish ball with roe inside and of course the really yummilicious and nourishing soup where you can adjust how strong you want for the flavor. My friend ordered a strong tomato base, and a normal chicken soup, and guess what? The tomato soup became my favorite! Other than the food, the service given by the staff was great too! Just except that the price is a little bit high on the side. On a side note, they have my favorite pigs brain, and I’m totally loving it! 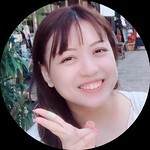 Second would be Shi Li Fang! Most people might know this hotpot where you actually soft toys depending on how much you spend. 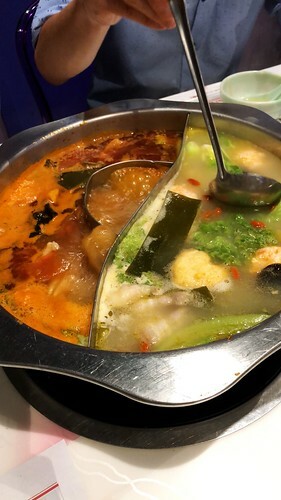 Initially, I was skeptical because it looks like the taste would be the same like Seoul Garden which was very subpar to other hotpots, and I was totally wrong about them! I chose the collagen and tomato soup, and as usual, the tomato soup was awesome! However, even the soup was nice, the food that came with it does come with a price. Price wise was definitely much cheaper than Hai Di Lao and Beauty in the Pot, and of course, the standard was there. Not much selection as compared to Hai Di Lao, but it was definitely sufficient because if you have too many choices, you will probably have a hard time choosing what you want to eat. Service wise, I would say that it is below average but probably it could be that their staff are really short-handed. Last of all is Beauty in the Pot! For this, most of my friends recommended me, and I guess that it was pretty good, and it will be good to have more friends to join so you can try alot of stuff. I ordered the collagen soup which was a must, the tomato soup which I will definitely not miss out on, the spicy pork broth that my friend wanted, and the other is a coconut soup, which is said to help cool down your body! This coconut soup totally win it all! It was so yummy and initially, I thought of it as something that is milky which one would always use in Thai cuisine, but I was so wrong about it! Instead of a milky soup, it was clear and of course refreshing! We also ordered other stuff like noodles, the fish paste, and I guess that did not really capture my attention because I feel that their food is pretty average. Beauty In The Pot also do have pigs brain, but it was sold out and it made a felt abit sad. Service was abit lagging and probably it was a little understaff, and staff could be seen weary after 11pm. 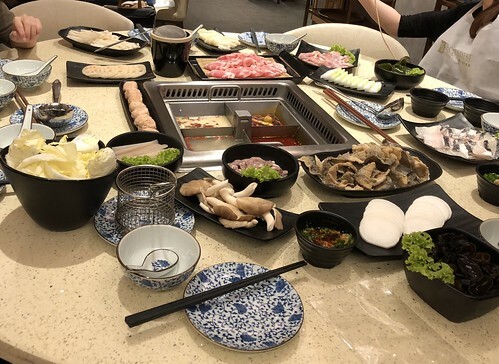 So, if you were to ask me on which hotpot to recommend, then in terms of price, if you do not mind the quality of the food, then Shi Li Fang would be the best because it will definitely not burn a hole in your pocket unless you order something expensive. In terms of quality for the food and service, I would say Hai Di Lao wins them all! In terms of soup flavoring, both Hai Di Lao and Beauty In The Pot are equal, but when it comes to uniqueness, then Beauty In The Pot would win because the Coconut soup is the best even though the collagen soup is their best seller! 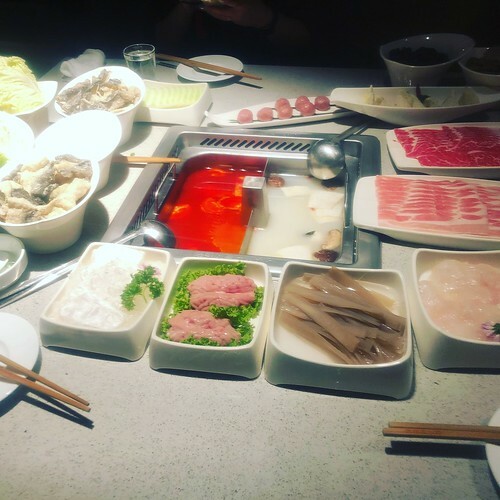 Hope you guys find this information helpful when you want to compare which hotpot you would like to eat!